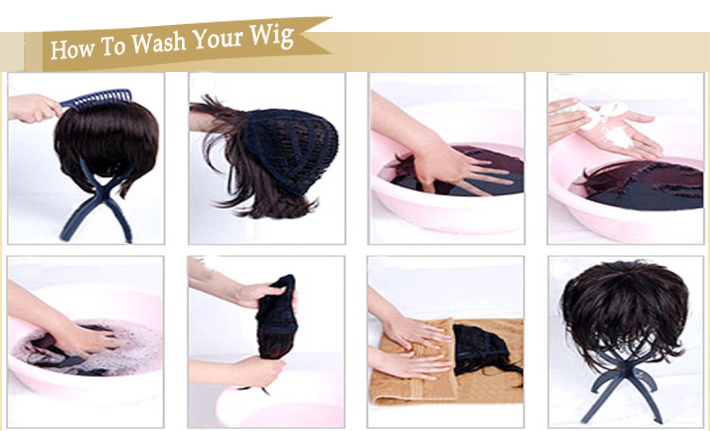 Brazilian wig and other wig are applicable. 1. Need to prepare massage comb, shampoo, care solution. 2. Check the wig, then use the comb comb to ensure that supple. 1. First use warm water. 2. Put shampoo and wig, evenly clean. 3. Soak for two minutes, add clean water. 2. Put in a wig and clean the comb during the comb. 3. Finally, put it dry, if necessary, choose to use hair dryer.